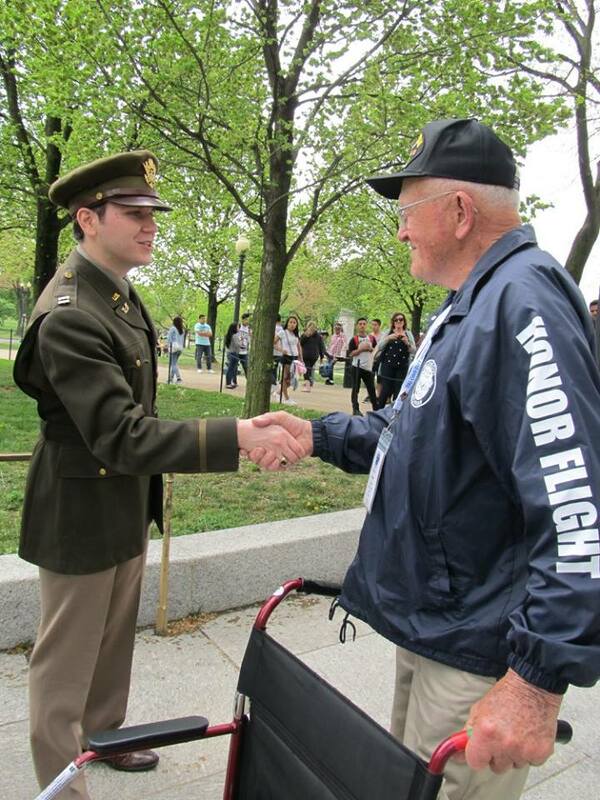 Honor Flight Network recognizes American veterans for their sacrifices and achievements by flying them to Washington, D.C. to see the memorials at no cost. Top priority is given to World War II and terminally ill veterans from all wars. 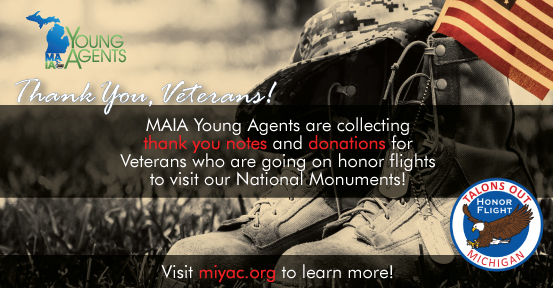 This year the MAIA Young Agents will be collecting thank you notes and donations for veterans who are going on honor flights through Talons Out Honor Flights! 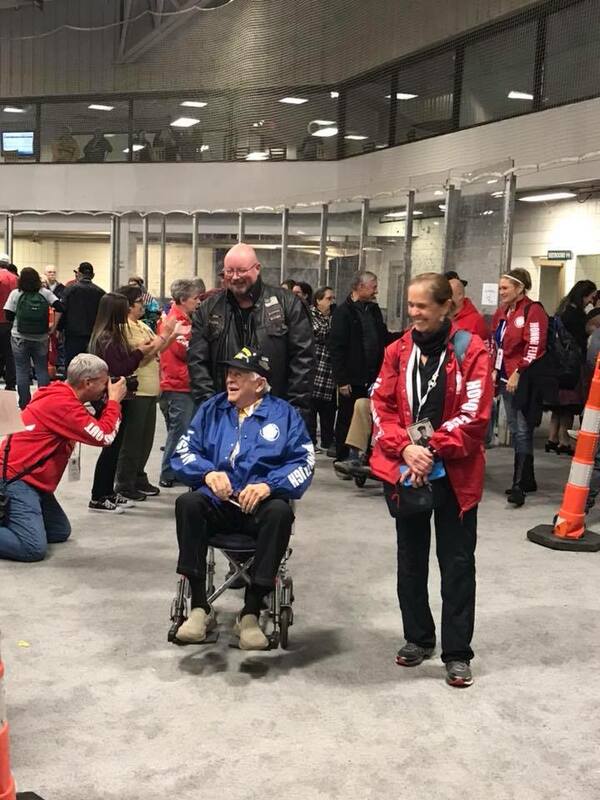 How Can You Help the Veterans? Send thank you notes for the veterans to greet them on the flights. Send donations to help off set flight costs. Donations can be sent to the above address. $20 at the door, if seats are available. Entrance fee covers only the cost for trivia, not food or drinks. Copyright © 2018 Michigan Association of Insurance Agents All rights reserved.